Search homes for sale in Palm Desert, La Quinta, & Indio, CA. 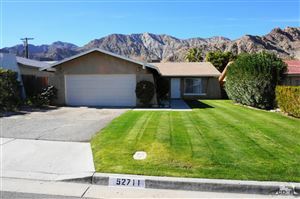 Search all Real Estate in the Coachella Valley here. Ronald Christopher & Associates is a boutique Real Estate & Mortgage office that was established in 2013, Veteran owned & operated by Ron & Tina Saporito. Meeting within the business many years ago, Ron & Tina discovered they both had the same drive and passion for the real estate & mortgage industry but wanted to offer their clients a more enhanced, personalized experience. Together, the two of them put their heart and soul into their careers and offer their clients a more personalized, professional, and less stressful transaction. The team at Ronald Christopher & Associates has grown from three Realtors in 2015 to more than 11 Realtors in the past three years to ensure every transaction is seamless. Ron & Tina live, play and work in the Palm Desert area and know the real estate, homes, neighborhoods and communities of Palm Desert, Indio and La Quinta. Whether you are buying or selling in Palm Desert, trust the experts for a fast sale, great buyer representation and excellent customer service. Call for a free listing presentation on what your home is currently worth. Start your online search here a variety of ways including by town, zip code or neighborhood. The next time you think Palm Desert real estate, think about the team at Ronald Christopher & Associates. For loans, homes, and sales in Palm Desert, Indio, Indian Wells and La Quinta, California. We are offer all services in one location for your convenience. Listing courtesy of Ronald Christopher & Assoc. What Does BPO Mean in Real Estate? Should We Buy a House with Friends? Desert Area MLS listings last updated Apr 20, 2019 5:42:pm.